Many day-to-day barn events are proven to increase a horse's risk of colic. 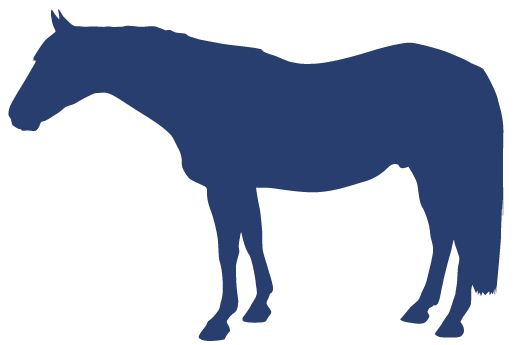 Take our quiz below to determine your horse's current risk, and then find out what you can do to help. Thanks for taking the Colic Risk Quiz for . You're doing a great job managing risk of colic, keep up the good work! Thanks for taking the Colic Risk Quiz for ! Below are some tips and management changes you can use to help lower risk of colic. 1. Cohen, N.D., Factors predisposing to colic, 8th Congress on Equine Medicine and Surgery, 2003. 2. Cohen, N.D., Gibbs, P.G., Woods A. Dietary and Other Management Factors Associated with Equine Colic. Proc of the Annu Conv of the AAEP 1999 (45) 96-98. 3. White, N.A. Proc of the Annu Conv of the AAEP 2006 (52) 109-175. 4. Hudson, J.M., Cohen, N.D., Gibbs, P.G., Thompson, J.A. Feeding practices associated with colic in horses. J Am Vet Med Assoc. 2001 Nov 15;219(10):1419-25. 5. Tinker, M. K., White, N. A., Lessard, P., et al. Prospective study of equine colic incidence and mortality. Equine Veterinary J. 1997 Nov;29(6):454-8.